Are you a novice hunter? Are you tired of coming close to your target but always missing it? 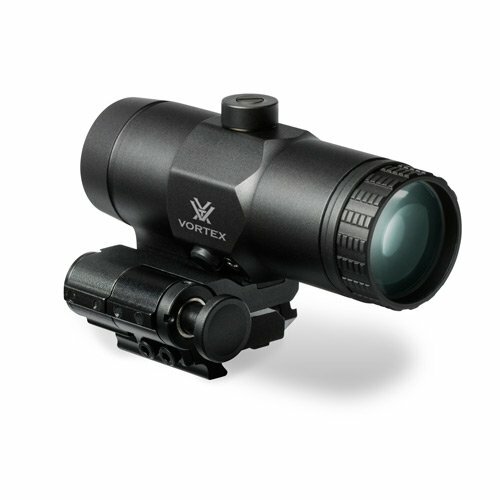 Sights are a popular choice for many gun owners because they are smaller and easier to use. Check out some of the best holographic sights to consider when shopping around for a sight. What’s The Difference Between Holographic and Red Dot Sights? Many gun owners choose to purchase a sight for their gun to make hitting the target a little easier. 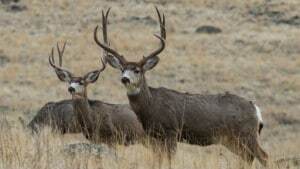 While you can try to hit the mark without a sight, using one can save ammo and make hunting or target shooting a little more fun. If you’re shopping around for a new sight, you may have a hard time deciding which one to buy as there are many choices available. We’ve compiled a list of some of the best holographic sights around and given you all of the information you need, so you can feel confident about purchasing one. You might be wondering what makes a holographic sight different from a red dot sight. Before we talk about the some of our top choices for holographic sights, let’s take the time to briefly explain the difference between a red dot and holographic sight. As the name suggests, a red dot (which is also known as a reflex sight) has a LED that produces the reticle (or the target). A holographic sight relies on a laser that produces a holograph of the reticle. 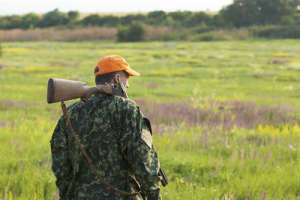 While types of sights to a great job at helping you find your target, there is more room for error with the holographic sight (which often makes it ideal for novice hunters). Many people prefer a holographic sight because it’s often easier and quicker to lock in the target without being completely accurate and the holograph is not affected by any light that comes in; you can still see the reticle clearly, regardless of the amount of light outside. 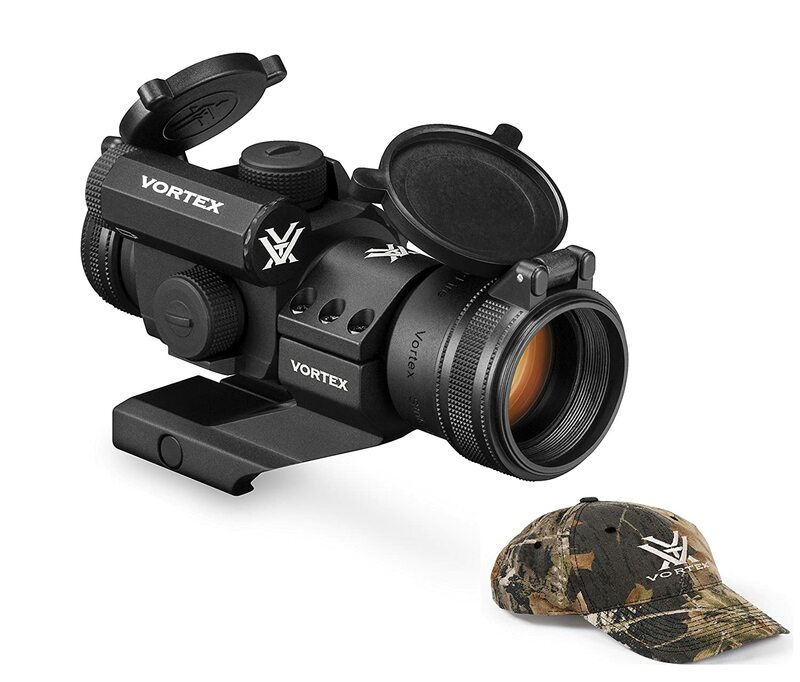 If you want to work on your target accuracy as a hunter (and not necessarily rely on a sight), then a red dot sight may be better suited for you. If you’re just learning how to shoot or you want a little room for error, a holographic sight may be just what you need. 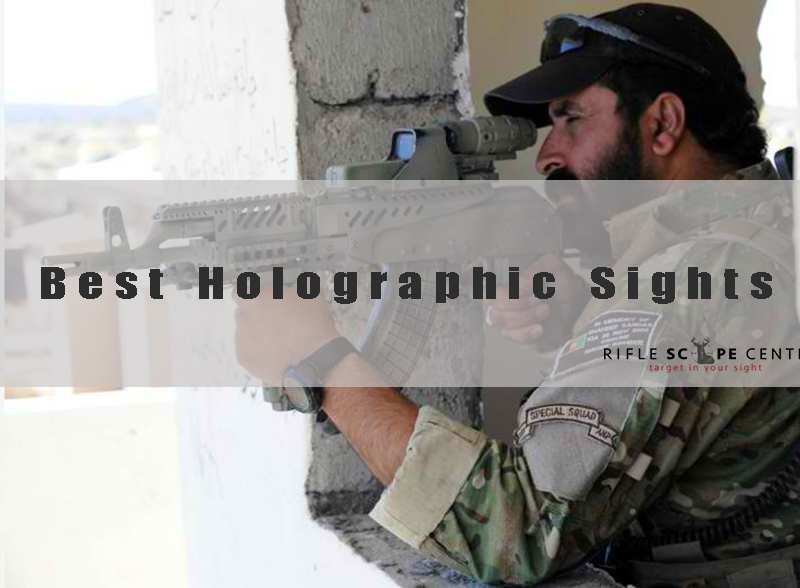 If you’ve already started to shop around for a holographic sight, you may be overwhelmed by your options. A holographic sight is a financial investment, and you want to feel confident about your purchase; that’s why we’ve compiled a “best of” list for you to look at before finalizing your decision. With all the holographic sights on the market, you might be wondering how we were able to narrow down our choices and come up with some top picks. We start out by reading dozens of customer reviews and testimonials online, weighing out the positive and negative feedback. Even if a sight has overwhelmingly positive feedback, we don’t overlook what the dissatisfied users have to say. We believe that a well-rounded review must take a look at both sides, not just the positive. We use a five-star rating system to rate our sights. 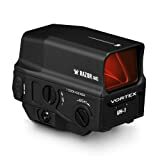 A holographic sight with a five-star rating has exceeded our expectations and has overwhelmingly positive feedback from other users. Even if we don’t give one of our best picks a five-star rating, it doesn’t mean that it’s not a good sight (it might just mean that it has more mixed reviews). Our goal, when creating our rating system, is that you can confidently select a holographic sight and be happy with your purchase. Now that you have a better understanding of how our rating system works, it’s time to take an in-depth look at our top picks for a holographic sight. We will start out our list with our “best” choice and then give you some other options. Remember, even if some of the sights don’t have a five-star rating, it doesn’t mean it’s not a great choice. 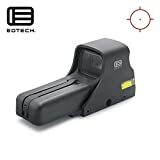 EOTech is well-known for making high-quality holographic sights, and the Model 512 is a popular pick for close-range shooting without night vision capabilities. 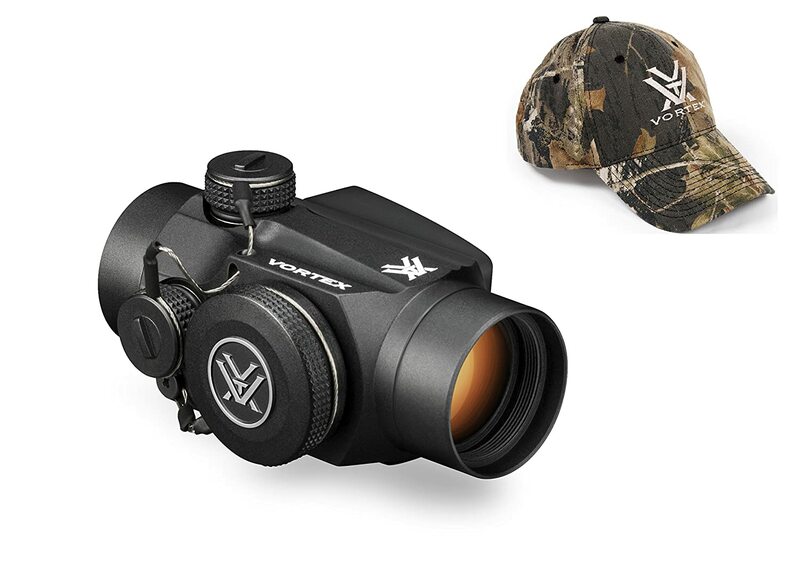 The sight is easy to use and is a great choice for beginners. The holographic reticle is designed to boost accuracy (regardless of the shooter’s experience) and have better control overall. The EOTech has overwhelmingly positive reviews from people who have purchased or used the sight. 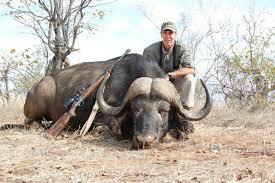 Users of the 512 sight like its durability and accuracy. While some were hesitant about its lack of night vision capabilities, the 20 brightness settings offer enough versatility in all types of lighting environments. Many users comment that the Model 512 is the most accurate sight they’ve ever used and for many, it’s the first time trying out a holographic sight. Most of the negative comments were regarding shipping issues, a damaged sight, and other issues with the company. 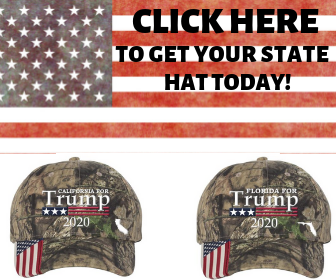 Upon contacting the manufacturer, most users who gave the sight a negative review were happy with the sight in the end. Although EOTech’s 512 Model is one of the manufacturer’s best-sellers, the 552 is also a solid option if you’re looking for a high-quality holographic sight that’s easy to use. The 552 Model is standardized by the DEA, ATF, and the FBI SWAT team and is ideal for close-range targets that need accuracy. 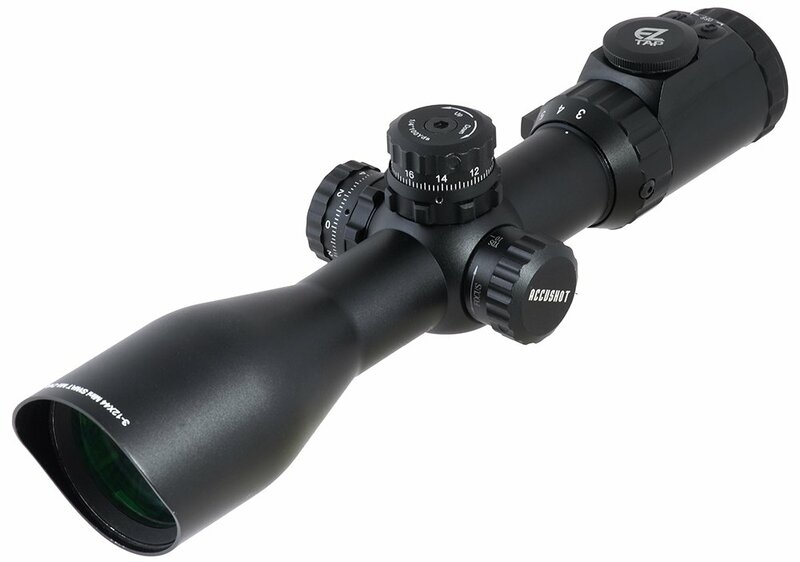 Similar to the 512, most users of the 522 were impressed by the accuracy of the reticle and how easy it was to use. Many users didn’t have to worry about making any adjustments, and first-time users of this holographic sight were instant fans of the sight. Users also liked the night vision capabilities and extra brightness settings. The users who experienced the most issues with the 512 had either purchased a fake online or received a product that was damaged. Other complaints were regarding the battery life and having to change out batteries. A few users complained about the reticle looking “fuzzy,” but it’s not uncommon for the reticle to appear that way; it shouldn’t affect the accuracy of the target. For holographic sight users, who don’t want to worry about a short battery life or the inconvenience of changing out batteries, the HOLOSUN HS510C might be an ideal option. The holographic sight has a battery life of up to five years (or 50,000 hours) and is powered by solar technology (with a battery backup). 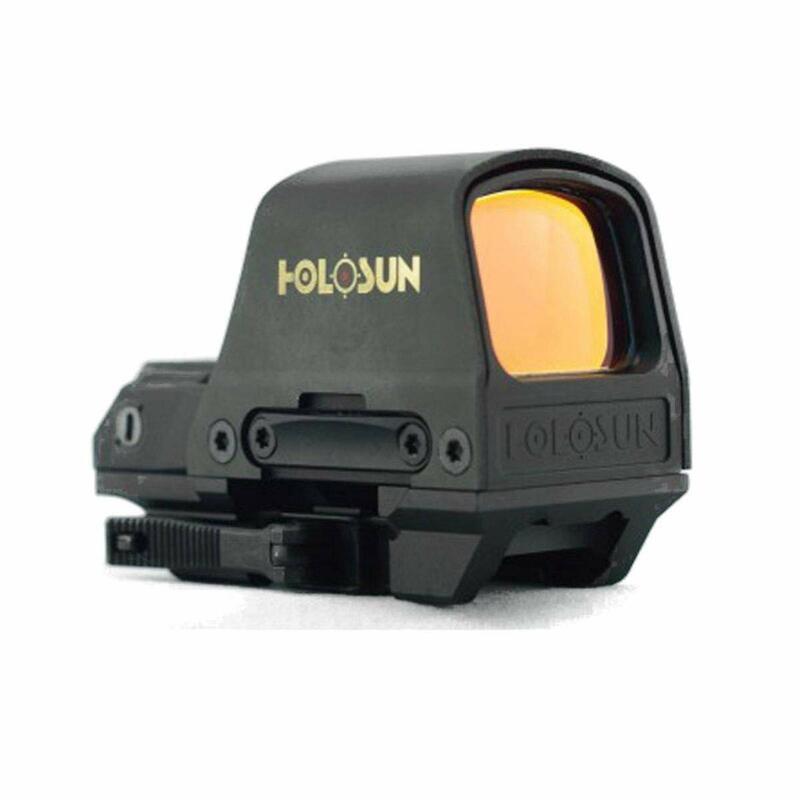 Users of the HOLOSUN sight love the affordability, durability, and the accuracy. It’s smaller size, and lighter weight makes it even easier to tote around. A majority of reviewers raved about the dual power options (solar and backup battery). 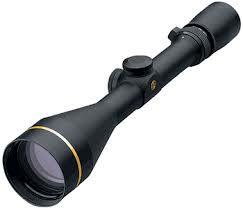 Many commented on how clear the reticle was and how easy the sight was to use. Most complaints were in regards to a sight that arrived damaged; most issues were resolved through the manufacturer or with the seller. The Razor AMG UH-1 represents a new paradigm in holographic sight technology with revolutionary technology, first class energy efficiency, and an impressive sight picture. An integrated, quick-release mount makes the sight easy to install on various Weaver or Pica tinny style bases. Shockproof aluminum base protects all internal components and eliminates the need for a secondary housing. Shatterproof, XR Plus coated windows are scratch resistant with Armortek protection. Interior is argon purged for water and fog proof performance. 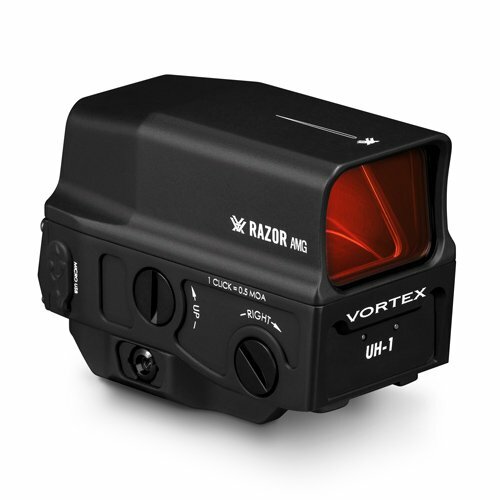 The Razor AMG UH-1 by Vortex Optics is a comparable holographic sight to the EOTech sights. It has a durable aluminum base and is shatterproof, fogproof, and waterproof. The integrated, quick-release mount makes it compatible with Weaver and Picatinny bases. Users of this sight like the option to plug it in and recharge the battery. Most users were happy with the clarity of the reticle, but noticed that it got blurry at the brightest settings. The majority of users who gave the Razor high ratings were happy with the ease of use, durability, and accuracy. Some users didn’t like that the control buttons were on the same side where you view the target (some buttons were easier to bump by accident). Other complaints were in regards to damaged sights and other issues due to shipping problems. The sights that made out “best picks” are all designed for handguns and smaller firearms. If you are looking for a holographic scope for a rifle and larger firearms, we recommend the Aipa AR15 Tactical Rifle Scope or check out some of EOTech’s other scope options. 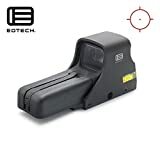 As you might notice, there are a variety of sights made by EOTech and many of them have high-ratings. 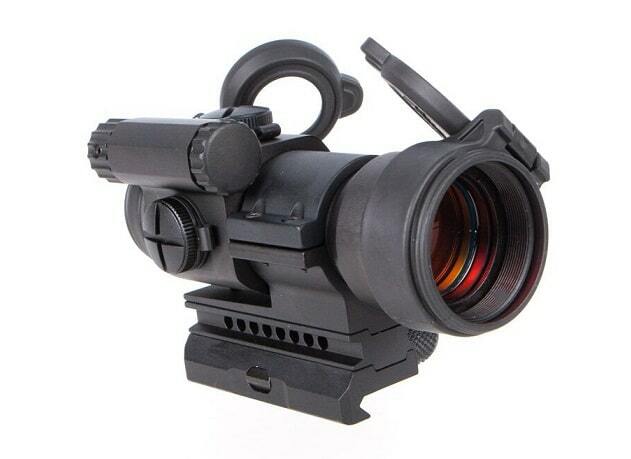 Rather than mentioning each holographic sight made by the company, we focused on two; if you’re impressed with the company, you can browse through their catalog to read up on more features. When you’re shopping around for holographic sights, you will notice that the price varies greatly. Cheapest isn’t always the best option, but you can find a high-quality sight within your budget (it just may be lacking certain features). It’s more important to look for a holographic sight that is durable and is easy to use. Keep in mind that a holographic sight is meant to make hitting your target fast and easy; if you have to make constant adjustments to the sight, it may not be worth your time and money. If you’re able to test out a sight in-person before buying that will be the best way to determine if it’s the best sight for you. If you don’t have the option to try one out in a store, make sure that there is a return or full-refund policy in place just in case it’s not the right sight for you.